Maryam Maquillage: Cool Makeup Tips for a "Winter Princess"
Red Cherry lashes #15 -- gradual, spiky lashes that play up the makeup and never take away from it. I love this subtle, yet effective pair! Use varying finishes, for example: shimmery for the lids, metallic for the liner and matte for the crease. 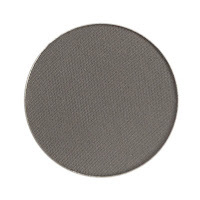 This not only makes your look more interesting, but it makes cool tones more wearable. Create contrast by adding a slightly warmer shadow to the mix. In this case, I added the blue-purple Unicorn eye shadow to the crease. Warm up your brows: I'm using a brown pencil to warm up and lighten my brows. Together with my brown eyes, this trick helps create a color balance between the warm and the cool. My skin tone is very warm and has a lot of yellow base, followed by red and green. 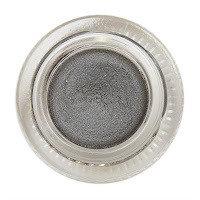 To neutralize my skin for cool color eye shadows, I always choose an iridescent highlighter that contains more blue than my everyday highlighter. Koh Gen Do Maifanshi Makeup Color Base in Lavender Pink -- This product was designed to combat sallowness and dullness. The lavender is used to counteract a yellow cast, while the pink is used to add a healthy tint; when combined, the two colors make a great base to cool off a warm yellow skin tone and prep it for makeup. I'm wearing this base on the high points of my face as my highlighter underneath my makeup. When wearing cool eye shadows, I also like to pair them with a cool gloss. My tip is to avoid a "pop" of color and instead go for a wash or a subtle hint of cool. Too Faced Glamour Glosses are my favorite for this purpose. easiTinsel by easihair in Holographic Silver -- this silver tinsel clip-in color extension is the perfect addition to any hairstyle and adds a cool touch of bling to your hair. Trim the tinsel to the length of your hair and wear it down-n-wild -- rockstar style or braid it into your princess braid for a sweet, romantic feel. Simply stunning and very detailed, fantastic! > Wow you look like a beautiful princess inierno, this makeup is beautiful really inspire me and help me improve. Thank you very much for sharing this beautiful makeup with your readers. any look you do is beautiful!! Gorgeous makeup, I wish I could do mine as good as you do. gorgeous you look like an ice princess! This is absolutely GORGEOUS! The colors look stunning agazint your skin! I just found out about your blog because of beautylish. Your talent is amazing! This look is so pretty. Stunning as usual! Love everything about this look, but in particular I love how your shape the inner corner of the eyes. 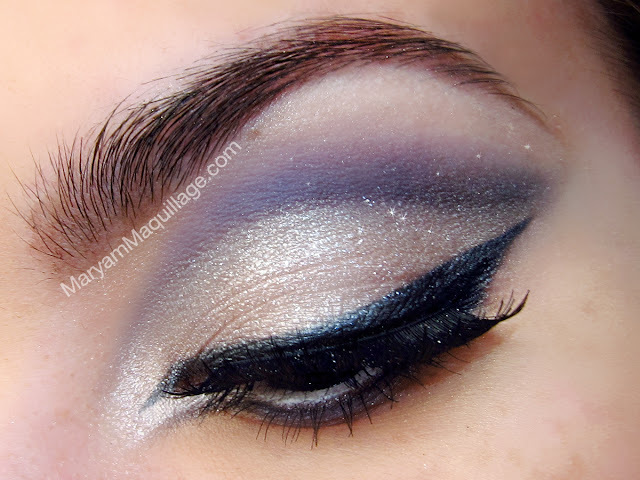 That is a tricky spot to do eyeshadow, but you execute it perfectly! Wow! That look is wonderful, amazing...!!!! You're stunning and you always make a magic with colours!! When I saw your first picture I thought you were wearing a sparkly, thin ribbon!!!! Have an amazing new year (I'm sorry I write this so late but I had no connection. It was like being cut off. I missed the blogging world so much). I just found your blog and now i'm obsessed. I'm reading back so many posts you did. Your blog is awesome! Even though you say this is a winter look, it reminds me more of spring! I always love cool purple tones for spring. wow this is such a gorgeous eye look!! The contrasting icey yellow on the purple compliment each other beautifully! Love it so much. And the shape of the crease and the inner corner are both amazing. God, I need to buy the Naked 2 palette!